Join “Sammy the Scripture Booklet” as he goes thru the production process and travels around the world sharing God’s Word in more than 340 languages! Files are pdf’s, open with pdf reader and print out. Children, ask your parents to help you! 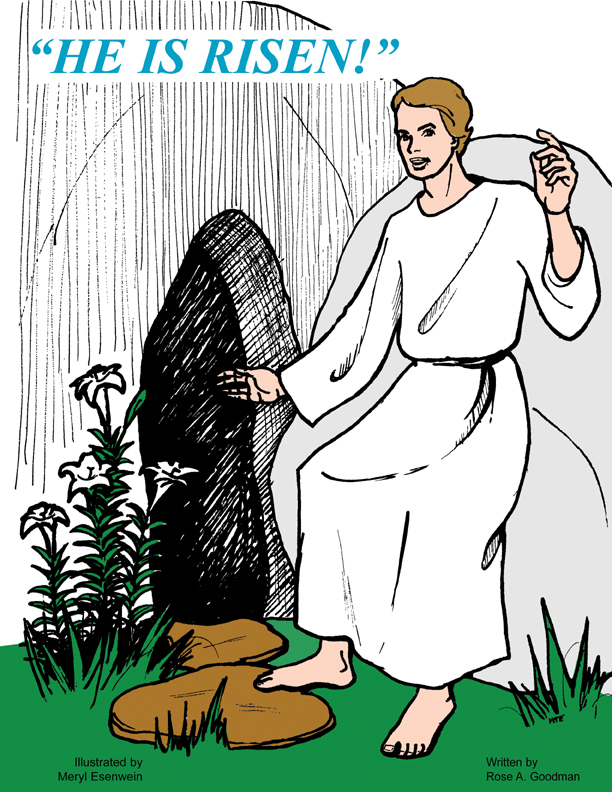 Click on coloring page to view the entire He Is Risen coloring book or Click Here. WTG pictures enlarged for coloring. 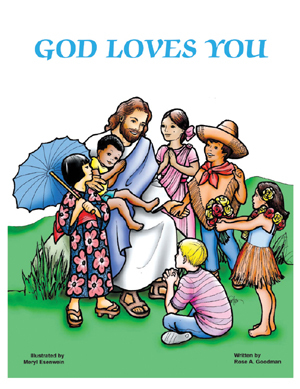 God Loves You coloring book. Click Here. Parents, the coloring pages are in adobe acrobat pdf format, you will need adobe acrobat pdf reader to access these pages. Puzzles created by Rose Goodman. Click on link and print. Sharing Christ with children around the world! Parents, Pastors, Sunday School Teachers, and children’s workers are you looking for a great way to teach your children about praying, supporting and being involved in missions? 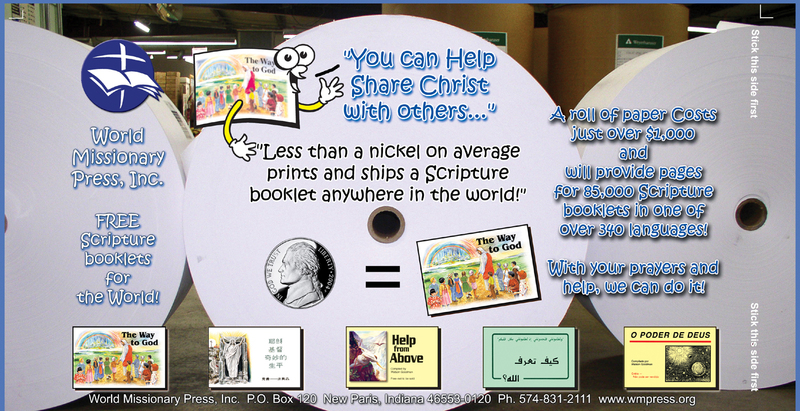 For less than 5 cents on average prints and sends a Scripture booklet anywhere in the world! You can have a part in reaching children in Africa, Brazil, China, Iraq, Mexico, Russia and the rest of the world for Jesus! (Click on the label for a printable version) Cut and tape on a jar or can and save change in 2016. Then pray, count it, and send to us to print booklets for children, like yourself, all over the world! Parents, Pastors, Sunday School Teachers, and children’s workers….you can get your children reading the Word of God and helping to provide the Word for children all over the World, at the same time! What is World Missionary Press? 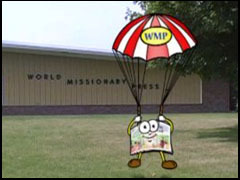 World Missionary Press is a ministry in Indiana which prints 48-page Bible verse booklets in many different languages. These Scripture booklets have gone to more than 210 countries and islands in more than 340 languages! Many children and adults have come to Jesus and grown close to Him through these Scripture booklets. What is a Bible Read-A-Thon? A Bible Read-a-thon is a way for YOU to give God’s Word to children in other countries. You can do this by just READING YOUR OWN BIBLE!